This is a guest post courtesy of Gareth on the value of marketing both within the online realm as well as the more traditional print media realm. Obviously both have their own unique set of pros and cons, but old school doesn’t necessarily mean old fashioned or ineffective. Please make him feel welcome and drop any thoughts in the comment section below. It’s become fashionable to dismiss print media as archaic and defunct now we’ve got so many ways to express ourselves using the web and electronic devices, but ignoring printed marketing tools when planning campaigns can be an oversight. E-shots, newsletters, web advertising and content creation for SEO purposes are all proven methods of marketing your product or service, but there’s no reason these have to completely replace traditional methods. There’s a time and a place for both approaches, the skill is in knowing which to deploy and to whom. The online marketing bandwagon is full, so how will you set yourself apart from your competitors? A generic email is just as easy to ignore or quickly delete as it was to send out as part of a blanket approach in the first place. Consumers are savvy and quickly develop an ability to screen out spam and unsubtle marketing. 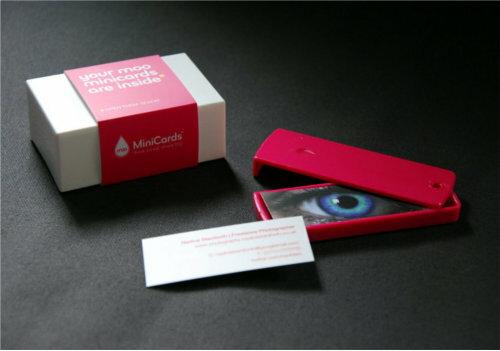 A well designed and creatively approached print item has the potential to deliver a more memorable message, create a more substantial response and, importantly, might be left lying around the office long enough to encourage someone to pick up the phone or visit the website for more information. Traditional printed items might ostensibly seem dated, but their power shouldn’t be underestimated. There’s an inherent confidence and reassurance provided with an item you can see in front of you and touch with your hands. Brochures, leaflets, folders, custom postcards and point-of-sale devices quickly deliver your message, asking very little of the user. If you’re at a meeting or a networking event, sure, you can verbally direct someone to your website, you could write it down, or even pass on the information with a business card… but is this enough to impress? A thoughtfully prepared brochure or flyer will show off your professionalism while instantly give insight into the product or service you offer and will encourage further ventures to your website. If your monthly newsletters don’t seem to be generating inquiries or your recipients don’t seem to be paying attention due to overexposure from others trying the same tactic; a custom postcard can be far less expected and far more memorable. Attention to detail should be your print philosophy. The spelling and grammar checks of common word processing tools and the ease of visual design with the most basic of desktop publishing software should really leave no excuse for errors. Not mention the plethora of companies that offer ways to easily create custom print materials online and then ship them straight to your door for a very reasonable investment. Plan your marketing campaign to center around both online and offline approaches. You are – literally – putting your brand out there, so ensure printed marketing reflects the look and feel of your website and any other online media. Both approaches should work together to build a brand personality. As well as driving traffic to your website, printed content can encourage social media interaction. A reliance on web-only marketing would first require a visit to your website before finding a link to your Facebook or Twitter account. Highlighting your social media activity in print can serve as a call to action to get involved directly with your social networking accounts, helping to generate potential leads and build relationships. Taking print tools into account ensures you’re widening the net, increasing the possibility of catching the attention of your next customer. By targeting your market with online and offline tools you are reaching greater numbers. Why not take the opportunity to target your local market? You know your industry and you know your area, so you can use this knowledge to provide bespoke items to specific recipients for that personal touch. Also, because of modern web trends, printing is now a rarer approach. So just by that aspect alone it “could” demand more attention than limiting yourself to online marketing strategies only. And of course, gaining the attention of your market is the only way to get your brand noticed and your message heard, thereby growing your business and increasing your potential profits. Do you currently use print marketing strategies? Or do you market your business solely online? Which do you find to be more effective for you? Please share in the comments below and don’t forget to pass this post around to your pals.